Today we bring the interview with Kevin Knight. At our upcoming 2017 show, Kevin will tackle the subject of fixing the “broken” pieces of influencer marketing. Question: In a few words, could you please tell the IMD (Influencer Marketing Days) community about yourself and what you do? 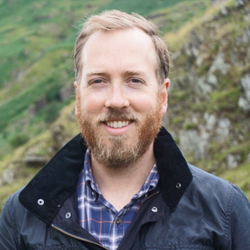 Kevin: As Experticity‘s Chief Marketing Officer, I lead the teams that spread our vision of influencer marketing to the industry and grow our network of influential experts. When I’m not at home, I do my best to be on a river fly fishing. Question: What are the biggest challenges that you see that influencer marketing faces now? Kevin: As savvy consumers become better at recognizing paid influence (and as the FTC makes sure such content is clearly labeled) the line between paid advertising and influencer marketing is getting finer and finer. Question: How can marketers overcome this? Kevin: Marketers should prioritize authenticity over reach. That means partnering with influencers who genuinely love a given brand and can speak to the virtues of that brand or its products from enthusiastic first-hand experience. Canned content from brands, distributed through high-reach pseudo-celebrities won’t cut it anymore. If we don’t refocus our influencer efforts on authenticity and trust, there won’t be any meaningful difference between ads and influencer posts in the near future. Question: What, in your opinion, is the biggest advantage of influencer marketing? Kevin: Done right, it amplifies the power of a trusted recommendation between friends. Kevin: Skip the paid reach and focus instead on identifying and recognizing the influential people who already love your brand. Surprise and delight them. Be loyal to them as they are to you. The results will be enthusiastic and authentic. It’s incredibly gratifying to be recognized by a brand you love. Question: On September 25, 2017 you’re speaking at Influencer Marketing Days, Why should marketers want to attend your session? Kevin: Having worked at Facebook and Pinterest, I’ve had a front row seat to the evolution in influencer marketing. The current trends are troubling, but they’re not irreparable. In my session, we’ll discuss where influencer marketing went wrong and talk specifics on how to fix it – including how your brand can avoid the pitfalls of paid reach and generate authentic influencer word-of-mouth. Question: If you were to give one piece of influencer marketing advice to brands/advertisers, and one to influencers, what would they be? Kevin: Consumers are savvy. They know when brands are trying to pull a fast one. If your influencer marketing strategy is anchored in paid reach, you run the risk of actually hurting your brand’s perception. Every brand has genuine fans. Find them, celebrate them, find ways for them to share their love of your brand – including by featuring them in your own marketing channels. It’s not too late to register, but with Influencer Marketing Days 2017 just 2 weeks away, you better hurry (and take advantage of our pre-show pricing before we sell out)!